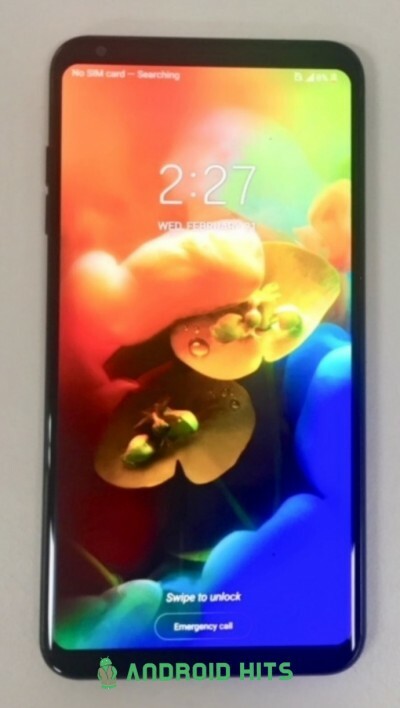 What you're looking at is the first image of the LG V35 ThinQ, caught in the wild. The phone looks identical to the LG V30 and LG V30 ThinQ, which is inline with the rumor mill's recent findings. The LG V35 ThinQ will retain the 6.0-inch 18:9 P-OLED screen of its predecessors and not move to a 6.1-inch notched 19:9 screen like the G7 ThinQ. It will have the latest Snapdragon 845 chipset with 6GB of RAM, dual 16MP cameras - one ultra-wide and one regular - and will retain the 3,300mAh battery of its predecessor. LG is expected to launch the V35 ThinQ as early as June in Korea and bring it to the US as an AT&T exclusive in August. LG know people don't like the notch and don't like the curved corner display. It's is a better solution, better than S9+, let's wait the teardown reviews see how the sealed battery still adopt glue or a plate designs.